The Fargo-Moorhead RedHawks added two more players for the 2013 season, while two members of the 2012 team have announced their retirement from baseball. The RedHawks have signed RHP LeRoy Hunt and INF Jeff Lundell, while 3B Eric Campbell and RHP Kyle Dahman have decided to retire from professional baseball. Hunt, 25, made two stops in 2012 while pitching in the Chicago White Sox organization. With the Winston-Salem Dash of the Carolina League (High-A), he was 0-0 with a 2.35 ERA and seven saves in 12 appearances. Hunt allowed four runs on 13 hits in 15.1 innings while striking out 21 and walking three. 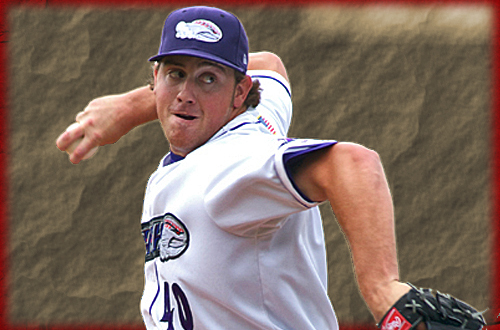 He then advanced to the Birmingham Barons of the Southern League (AA) and was 2-3 with a 4.39 ERA in 29 appearances. Hunt pitched 55.1 innings, allowed 57 hits, struck out 32 batters and walked 34. Hunt was originally selected by the White Sox in the 4th round of the 2007 draft out of Sacramento (CA) City College. In his six-year career, he is 14-18 with a 4.53 ERA and 19 saves in 198 games. Hunt has recorded 238 strikeouts in 303.2 innings pitched. Lundell, 26, is a rookie utility infielder looking to latch on to his first professional team in the United States. He had been in training camp with the Lancaster (PA) Barnstormers of the Atlantic League this spring but was among the last cuts. Lundell played college baseball at Post University (CT) in 2009 and batted .297 with five doubles, three triples, three home runs, 24 RBIs and 36 runs scored in 42 games. Following college, he played in the Kansai Independent Baseball League in Japan in 2010 for the Akashi Red Soldiers. In 2011, he played in France for the Senart Templiers. Campbell batted .354 with 19 doubles, two triples, 13 home runs, 55 RBIs and 49 runs scored in 54 games for Fargo-Moorhead last summer. It was his second stint with Fargo-Moorhead, as he helped the RedHawks to the 2010 Northern League Championship. Dahman was 3-1 with a 3.41 ERA and a save in 36 games last season for the RedHawks. He allowed 31 hits in 37.0 innings pitched while recording 20 strikeouts. The RedHawks will open training camp for the 2013 season on Saturday, May 4.